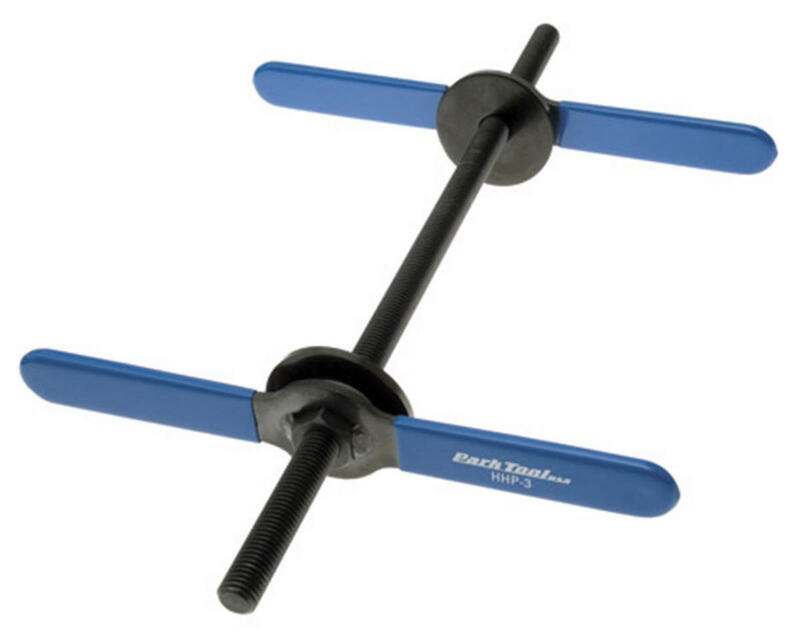 This is the Park Tool HHP-3 Home Mechanic Bearing Cup Press. Simple and economical, the HHP-3 is designed to install all sizes of head cups (1" to 1-1/2") and one-piece bottom bracket cups. Will also press BB30 and BB90 (BB86, or BB92) system cups. The thread of the HHP-3 is 5/8" (16mm) diameter (nominally 16mm) and will also work to press BMX bottom brackets.